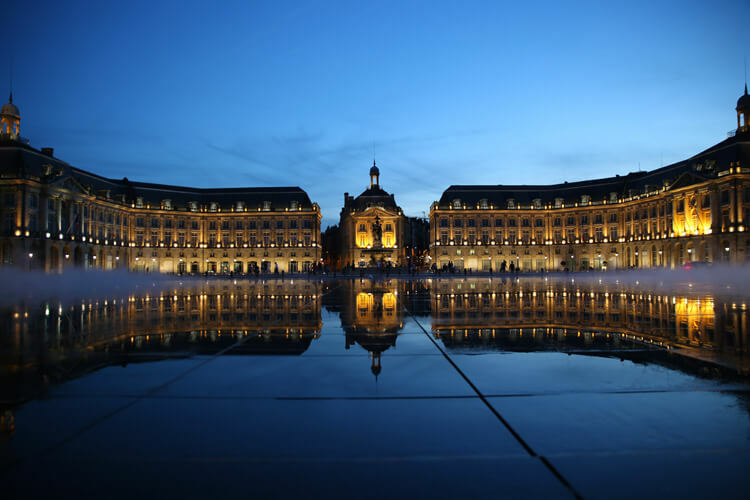 I didn’t love the ocean cruise we’ve been on, but when Viking River Cruises invited me to explore Bordeaux on their Chateaux, Rivers and Wine cruise, the allure of all the French Bordeaux wine I’d no doubt be sipping convinced me to give river cruising a try. The verdict? I absolutely loved my Bordeaux Viking River Cruise, though I must confess that I didn’t spend much time on the boat itself. Most days I would depart the boat by 8:30am for my daily excursion and the boat would sail on to the next port where I’d meet back up with it later in the day. It was perfect for someone like me who loves active trips and the true beauty of Bordeaux is in its quaint villages, amongst its vines and amongst the splendor of its chateaux. One of the things that I really loved about my Bordeaux Viking River Cruise is that an excursion was included every day and all the details about each were outlined in the day-by-day itinerary before you even book the cruise. The night before, all passengers would receive a newsletter in their rooms with important details about the next day’s weather and interesting history and facts about the destination. With the exception of one small change to the itinerary due to heavy rain the week before my cruise, just about all of the included excursions left time for exploring further on my own. I did that in Bordeaux, Libourne and Saint-Émilion. While there were wine tastings scheduled at chateaux in Sauternes and Pauillac, I was a little disappointed that there weren’t any scheduled in Saint-Émilion. 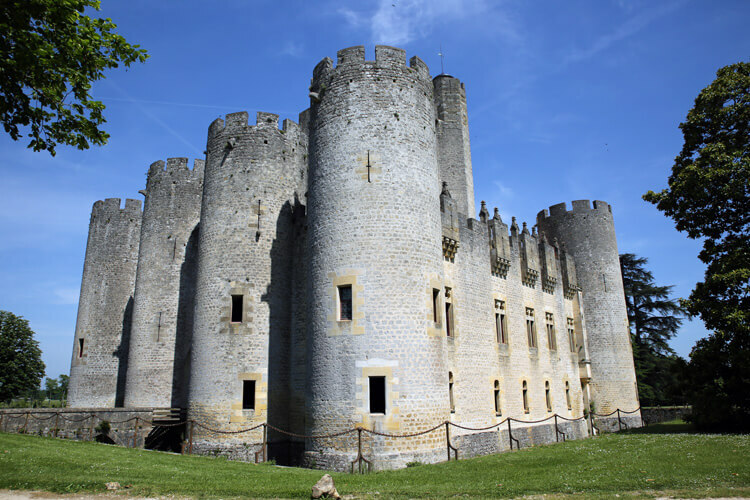 But with plenty of time in port in Libourne, I had time to visit Château Cantenac in Saint-Émilion on my own before meeting back up with the ship. The week before my cruise, Bordeaux had received a lot of rain and the river rose. It actually rose high enough that the ship couldn’t pass under one of the bridges in Bordeaux to sail to Cadillac. That really worked out in my favor because it gave me more time in Bordeaux and the visit to Chateau Fort de Roquetaillade was added. It was Charlemagne who built the very first fortification at Chateau Fort de Roquetaillade, though nothing but ruins remain of that original fortification today. The Château Neuf (new fortress) was built in 1306 by Pope Clement V, the first French Pope in Avignon, and has been lived in by the same family for over 700 years. The Countess herself, which we didn’t discover until after our tour had concluded, showed us around the fully furnished fortress. Unfortunately, photographs of the interior aren’t allowed. But the Countess points out some of the unique features of the fortress like the Pink Room, which was restored in the 19th century and is the work of the French architect Viollet le Duc, famous for Notre-Dame in Paris and Carcassone. My feature secret feature she showed us was a cleverly hidden drawbridge that she lowered from the inside to span the moat. We didn’t have time to visit the Chateau’s winery, but they do have an A.O.C. Graves vineyard where red, white and sweet wines are produced. Several of the vintages have won awards and the bottles are perhaps the most affordably priced I came across in the Bordeaux region at €9 per bottle. Chateau Fort de Roquetaillade is not normally part of the Chateaux, Rivers & Wine itinerary, but is well worth a visit if extending your time in Bordeaux. Visits are possible from 3 – 4pm daily September – June and 11am – 5pm daily in July and August. Admission is €9.50 per adult. While Saint-Emilion takes your breath away with its landscapes and hill-climbing villages, here in Pauillac it’s the chateaux that have serious wow factor. While most of these producers aren’t open to the public for visits, I was thrilled to see four of France’s five first growth Premier Grand Cru producers. Château Lafite Rothschild was, to me, the most impressive of the bunch. The massive chateau, where the family still comes to stay, was just impeccable with its perfectly kept landscaping and gardens surrounding it. Just down the road is Château Mouton-Rothschild, the only of the first growth producers that was able to move up the classification system from the original second growth classification in 1973. We also swung on by Château Latour, run by Salma Hayek’s billionaire husband François-Henri Pinault, which is regarded as the top Bordeaux vineyard in the world. Some Château Latour vintages come with a $1 million dollar price tag. Oh, to only be invited in for a tasting! 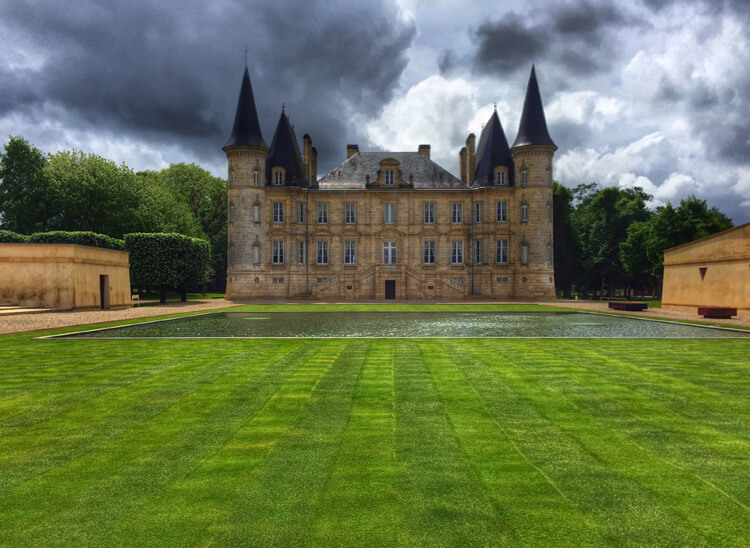 Many of these chateaux are owned under the umbrella of big companies, but Château Margaux is impressively owned by a single shareholder, a Greek named Corinne Mentzelopoulos. A bottle of Château Margaux 1787 holds the record as the most expensive bottle of wine ever broken; it was insured at $225,000. It wasn’t all just gawking; there was wine tasting as you must do when in Bordeaux. We first stopped at Château Lynch-Bages, which has a lovely little village with a marketplace and Cafe Lavinal. While the cafe serves an impressive wine list of 120 wines from the Bordeaux region, they also have tasting pours. I couldn’t resist trying the Château Lynch-Bages 2007 Grand Cru Classé…and then purchasing a bottle to bring home. I also visited Château du Tertre, a fifth growth producer, for a tour and tasting. Here I was like the Goldie Locks of Bordeaux Margaux appellation wines; the 2013 was too young, the 2003 was too old, and finally the 2008 was just right for drinking now. And though I was wowed by the impressive chateau, complete with helicopter on the back lawn, I still preferred the Château Lynch-Bages. Our afternoon of chateaux hunting and wine tasting perfectly ended with dinner at the stunning Château Kirwan, a third growth producer. Each of the three courses kept with the theme of the day and wine or grapes were present in each of the courses like the salad with grapes and duck confit and the chocolate cake with red wine ice cream. Of course, Château Kirwan wines were paired with each course, including a Château Kirwan 1998 Grand Cru Classé. I savored every last drop. Aside from all the fantastic wine, this Bordeaux Viking River Cruise helped me add three new UNESCO World Heritages Sites to my list including the Citadel of Blaye. Located upstream of Bordeaux and set dramatically on a rock, the walled city was designed between 1685 and 1689 under the order of Louis XIV to prevent enemies from advancing on Bordeaux. Though the Citadel wasn’t built until the 17th century, it is set around the ruins of an ancient Gothic château that contains the tomb of Charibert II, King of Aquitaine. There’s also a legend that the Frankish her Roland, who served Charlemagne, is also buried in the ruins. I already mentioned how wide the Garonne River is and at the time of the Citadel’s construction, cannons didn’t have a long enough range to cover the 3 kilometer width of the river. So Louis XIV also ordered the Vauban to built two more forts at Fort Paté and Fort Médoc. With the two additional forts and the improvements to the Citadel of Blaye, the French were successful in preventing enemies from sailing up the Garonne to Bordeaux. The Citadel is beautiful to wander about and there are a few interesting shops run by local artisans lining the “main street”. There is also a restaurant and a cafe where you can enjoy Bordeaux wines. The Blaye weekly market, which takes place on Wednesdays and Saturdays was also in full swing and I had plenty of time to wander about the market tasting regional specialties like cheese, crepes and oysters and looking at the local goods. The 8-day Chateaux, Rivers & Wine cruise starts from $1856 per person and includes 6 guided tours and breakfast, lunch and dinner daily. My Chateaux, Rivers & Wine cruise was provided by Viking River Cruises in order to bring you this story. However, Luxe Adventure Traveler maintains full editorial control of the content published on this site. As always, all thoughts, opinions, and enthusiasm for travel are entirely our own. Wow, this looks insanely amazing! Sign me up!! Wonderful pictures of the French castles! And stories about wine, too. I think that the river cruises are getting more and more popular. From my point of view, the basic advantage of such a journey is that you don’t need to worry about a parking place near a touristic spot, which is always tricky. I think I would be very eager to try it once. That’s what I loved most, Agata. The ship was like a traveling hotel. Even though we technically didn’t travel very far between the locations visited on this particular cruise, all the time I would have spent driving means I wouldn’t have seen nearly as much in the same amount of days. I would definitely give river cruising a try! Sounds like an absolutely amazing cruise – I love that all of the excursions were included everyday, I’ve found with a lot of the cruises I’ve been on the excursions have been at an additional charge, so that’s always something I’ve told people to watch out for, but perhaps I’ve just been choosing the wrong cruises! Obviously Viking River Cruises are the way to go around Europe, sounds like the company is really top class. 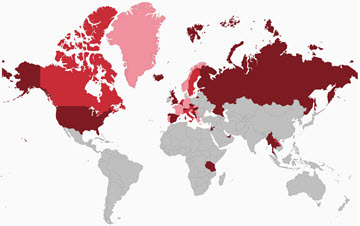 Seems like you got quite a bit of culture in as well as wine! Will have to look at booking this for our second honeymoon soon! Yes! The ocean cruise we went on had all its ports in Greece and we were simply paying for the cost of being on the ship; no excursions or activities once you got to the ports were included. That does increase the price of many cruises significantly because if you do decide to book activities independently of what the ship offers and you happen to run late, the ship will leave without it. So it’s like being between a rock and a hard place – decide to save oodles of money by booking the exact same over priced activities offered through the ship else where, but run the risk of the ship sailing without you or pay for the over priced excursions through the ship. I think it’s really great that there is an included excursion daily on the Viking River itineraries. 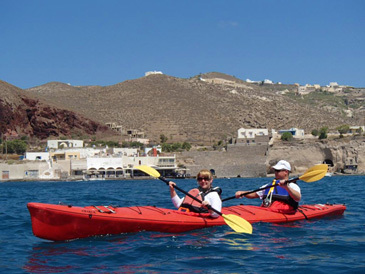 There were some additional special excursions offered also that weren’t included, but if you chose not to go on those the already included excursion was always available. Wow! We’ve never really been fans of cruises but this one might just change our minds. We love the chateaux and wines of the Loire, but maybe next time we’ll go a bit further afield and sample the best of Bordeaux. I think I\’m anti cruise, but maybe I\’m like you and I\’m not a fan of ocean cruises. They just seem so boring. This one sounds pretty good though – not much different than travelling by car through this wine region, except this seems more scenic and the pressure is off the guests. I’m so happy to see you writing about this. I recently experienced the Portraits of France Viking River Cruise, which was wonderful! But our cruise director kept telling us that we’d absolutely love the Bordeaux Wine Cruise (we love wine!) It looks simply fabulous, and it’s the perfect cruise for us. Next time! I was just in Bordeaux a few weeks ago and fell in love! However, it was such a short stay, I wasn’t able to discover any of the chateaus nearby as you did. I will definitely be returning and a river cruise sounds like a winner of a plan to me! What a trip! And the chateau are actually beyond beautiful and more over the top than I imagined. Lucky you on such a marvelous wine tasting trip. I’m very impressed with all that I’ve read about Viking Cruises. Cruise, wine, I am in!! Every single picture is gorgeous and so enticing. Looks like a magical time! Wow! The Chateau Fort de Roquetaillade looks so formidable. To think that you visited somewhere that Charlemagne, such a gigantic historic force, built. Sounds like a great cruise and pretty unlike the typical Carribbean cruise. Such gorgeous chateaus and I love those cobblestoned streets by the citadel! Beautiful pics, love those moody storm clouds! I keep hearing so many great things about Viking river cruises! I didn’t realize that the boat travels down the river during the day and that you can get on in a different location. I love how much exploring you got to do! I’m dying to go on a Viking Cruise. I read all about RecipeGirl’s trip, and now yours! My dream is to visit Bordeaux !